Music at King’s has a distinguished history with a strong reputation for performances of outstanding quality and variety. The department has 6 full time staff and 44 visiting music teachers providing over 600 individual music lessons each week. Many are active professional musicians with major Symphony Orchestras and also teach at leading Academies. Pupils are prepared for Associated Board and Trinity College examinations. Masterclasses are arranged each term with notable soloists, such as clarinetist Andrew Marriner, singer Ann Murray, oboist Nicholas Daniel and cellist Rebecca Gilliver. 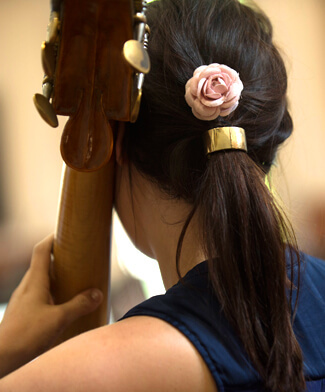 Generous scholarships are available for talented musicians. The Edred Wright Music School, named after a distinguished former Director of Music, was created in the west wing of the former Grange boarding house and was opened in January 2009. The front entrance to the Music School is near the Mint Yard Gate. Facilities include The Peter Stone recital room, practice rooms, music technology classrooms, percussion and recording studios, a library and a choral room. 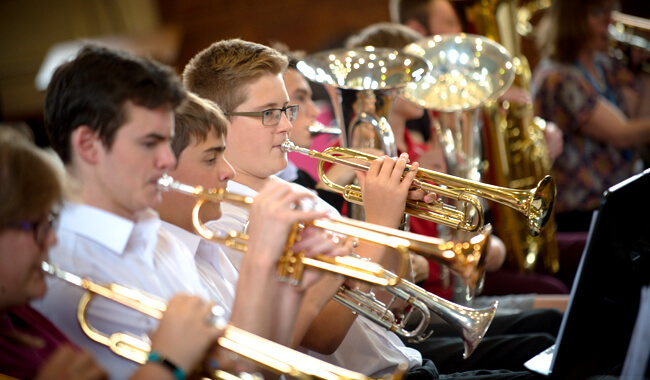 There are six choirs, three orchestras, many chamber groups, a wind band, big band and a selection of rock and jazz groups. Major concerts are staged each term; in addition there are regular informal concerts and performances during King’s Week. Overseas tours are now a regular event. In 2006 the Crypt Choir went to New Zealand, Australia and Hong Kong; in 2008 and 2011 they visited the United States; and in 2013 they toured China and Hong Kong. In 2017 the Crypt Choir and Chamber Orchestra travelled to Rome. In addition to the information on the school website, the Department maintains its own website at The King’s Music School. The Chapel Choir, consisting of over one hundred pupils, sings at the main school Sunday morning services in the Cathedral. The Crypt Choir, about forty-five strong, sings at school Evensong services and in regular concerts. In recent years it has performed in Venice (2005), New Zealand, Australia and Hong Kong (2006), United States (2008 and 2011) in South Africa and Swaziland (2010) China and Hong Kong (2013), Rheims (2015) and Rome (2017). The choir gave performances of Monteverdi’s Vespers in Rome and London in November 2017. 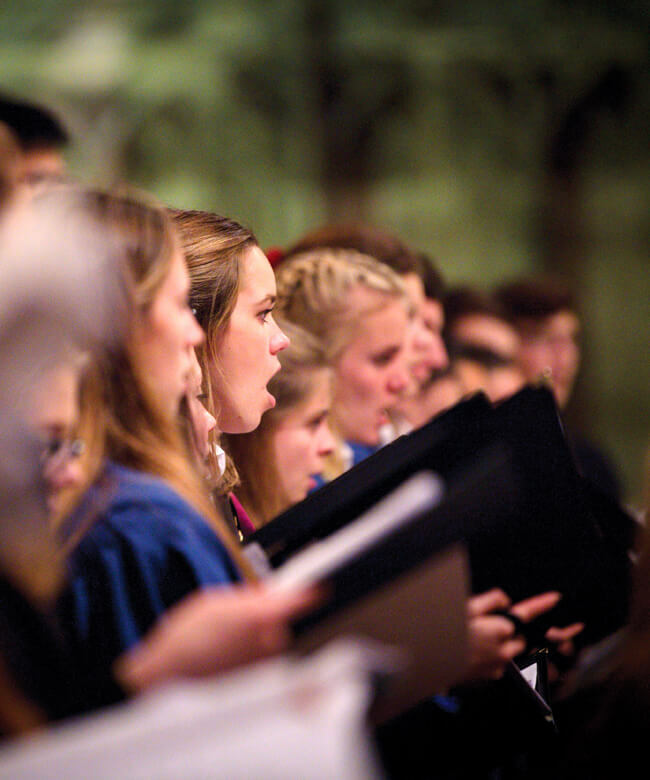 The Chamber Choir consists of sixteen of our most senior singers, singing at Eucharist services in the Cathedral Crypt, as well as in concerts and services further afield. 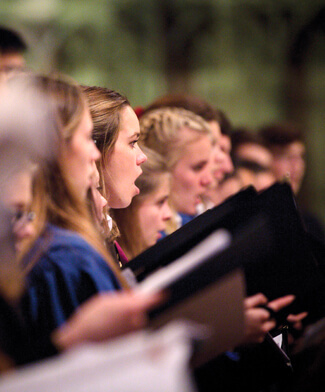 Many members of the Crypt and Chamber Choirs will go on to win Choral Scholarships at major Oxbridge college choirs. The larger King’s Chorus includes anyone who likes to sing – parents and staff, as well as pupils. It performs twice a year with the Symphony Orchestra, usually in a major choral work such as the performance of Mozart’s Requiem in Canterbury Cathedral in March 2017. The Becket Singers consists of Shell and Remove boys and girls and services as a training choir for the Chapel Choir. The King’s Men, King’s Swingers and King’s A Capella are small close-harmony groups, who perform at concerts and events in school, and often in London. 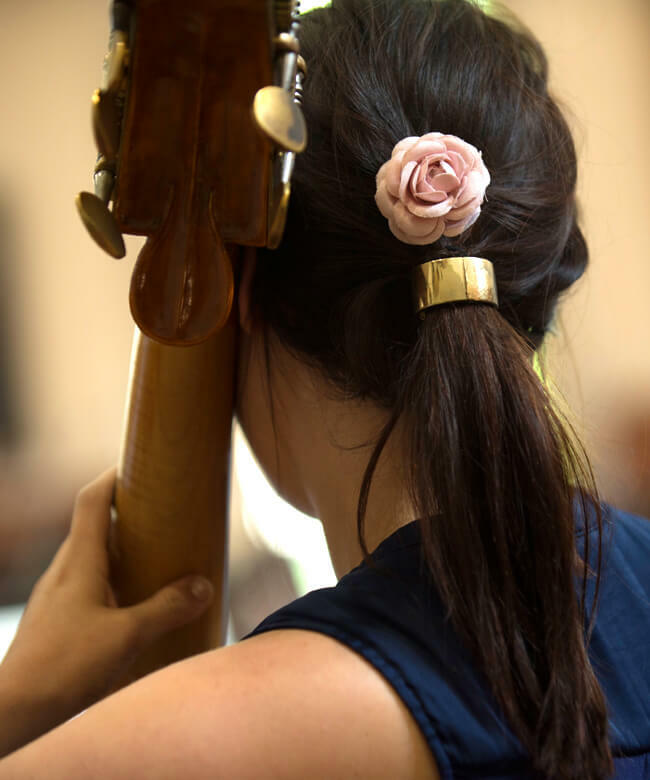 Performances range from weekly informal concerts to major concerts in venues such as St John’s Smith Square, The Shirley Hall and the Cathedral. The annual House Song Competition is a particular highlight that involves all pupils. The School has a full Symphony Orchestra that rehearses every week and performs on several occasions over the year, culminating with a Gala Symphony Concert in King’s Week. The Chamber Orchestra is a smaller group, which puts on several concerts during the year. The Wind Band is a large and popular group and performs regularly, including at an outdoor concert in King’s Week. The Jazz Club is organised by the pupils. There is a big band, a modern jazz group, and other ensembles. The Jazz Concert is one of the highlights of King’s Week. Chamber groups and string quartets also flourish.